Nikon D90, Micro-Nikkor 105mm, f/14, 1/100, ISO 500. No crop. Double exposure in camera. Three small blemishes cloned out from petals. Montreal, May 2018. Very nice piece of work -- love the way you handled the exposure, capturing the subtle colors in the petals, without blowing out the whites. Lovely image. 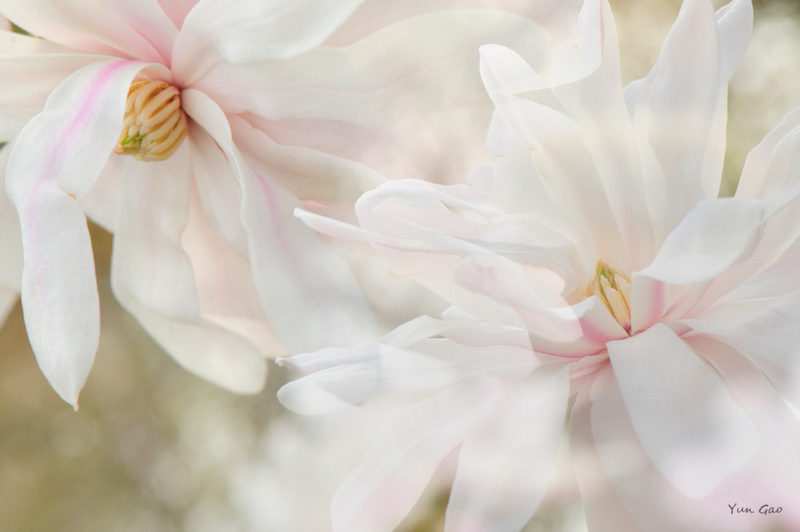 I like the diagonal composition, soft colors and details on petals. very artful. The composition and the double exposure are lovely, so are the whites. I did not think of that. Thanks Cynthia. Thank you everyone. A delicate and elegant image. Beautifully presented.